Camp Canaan is many things – an unknown paradise in the Catawba River, a Christian based kids camp, a retreat center, an adventurer’s paradise with zipline canopy tours, disc golf, a pool and so much more. 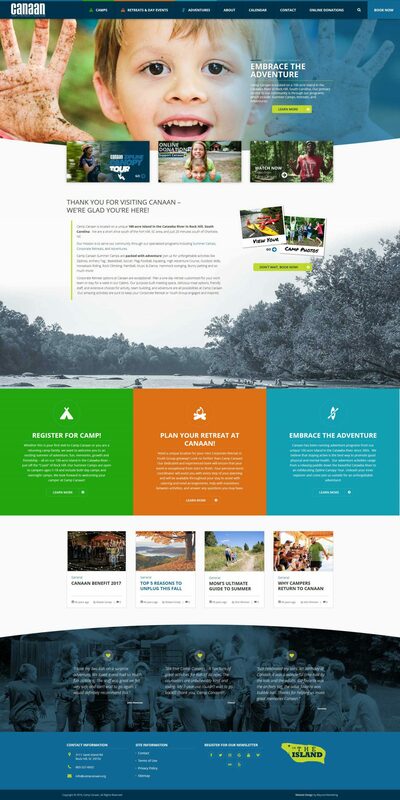 Beyond Marketing was approached by Camp Canaan with a challenge to develop a website that showed more than just a physical place with incredible amenities. Our challenge was to showcase the heart of Camp Canaan – it’s people, virtues, and those whose lives are positively affected by this place. 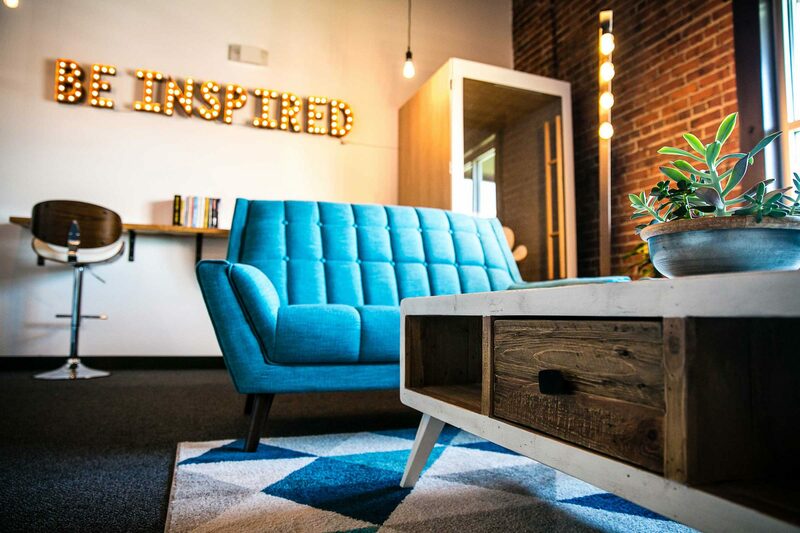 As a marketing agency, we have a general formula on how we develop websites which often centers around a whiteboard sketching out sitemaps, menu maps and creatively discussing how things will be presented on mobile, tablet and desktop. To achieve what the client was after, we had to add a step. We had to go to camp. Crossing the bridge over the river to Camp Canaan is like being transported into another world. Amongst the hustle and bustle of Rock Hill is a tranquil island paradise where one can be quiet and reflect, or be a playground for kids to be kids. It was necessary to see the place in person in order to translate the feel as much as the look. We left Canaan with gears turning excited to approach the whiteboard. While our designers worked on the color palette and hundreds of photos to create the feel, our developer had to figure out the navigation. Camp Canaan has three distinct sections between its myriad of camps, adventure offerings, retreats and corporate events. One of the primary pain points with the old site was navigating through more than 20 different program offerings without getting lost. While every site requires user-friendliness, we spent much added time on this element to allow every program to be easily discovered in a minimum number of clicks. We developed the Camp Canaan website in 2016 and yet we still showcase this site on our website today because it’s one of our favorites. The extra time of seeing this amazing place and meeting the team made us fall in love with ‘Camp.’ The project felt very personal to us and it propelled us to put forth our best work because we believe in the mission of Camp and the work they’re doing. The outcome was not just a well-designed site, but a much more functional menu for visitors to easily find what they’re looking for. It was an honor to work with the Camp Canaan team.